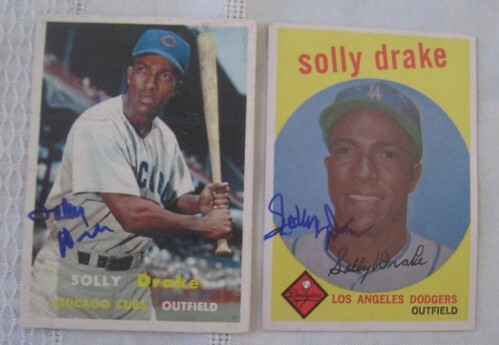 I got a tip two years ago from a friend that former Dodger Solly Drake is a Pastor at a Los Angeles Baptist church. As you know already, I'm a big autograph collector. I especially enjoy collecting to those that played way before I was born. 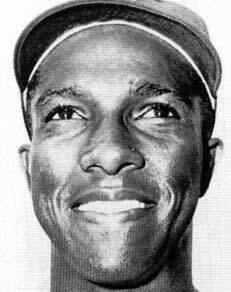 Solly Drake played briefly with the Los Angeles Dodgers in 1959. 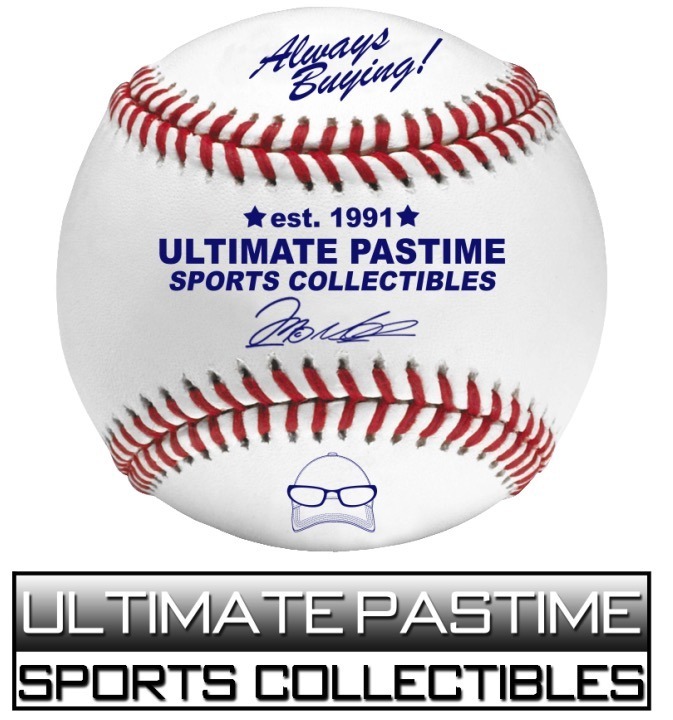 Click here for his Baseball Reference page. Only 9 games but he has a Topps baseball card! I had to meet him. I was worried that going to a church to ask for a autograph was the wrong thing to do. Or is it? I mean, he's a Pastor. Should be a nice guy. 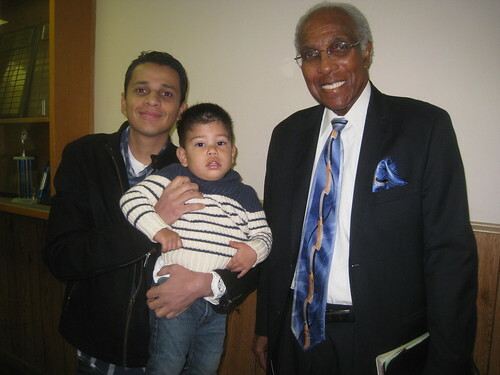 Plus this is not the first time I meet a former Dodger that's now a Pastor. I just never blogged about John Werhas. I'll do that soon. The problem is that I have never been to a Baptist church before. I have no idea how things are run. 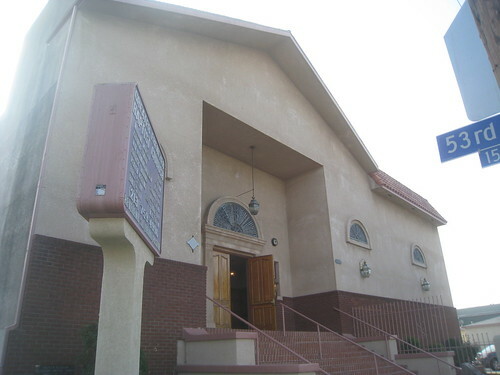 I show up at the Greater Ebenezer Missionary Baptist church this past Sunday with my son and I meet up with my friend. 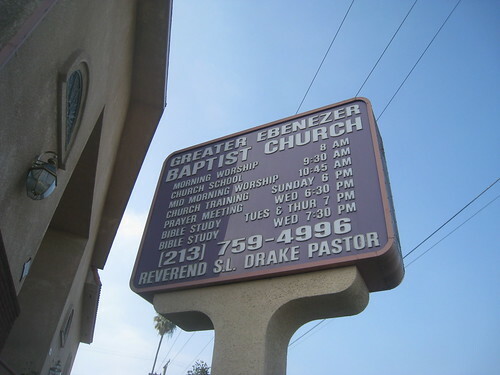 This is the third time that we try to meet with Pastor Drake. We did this two years ago during the week and no one was there. We went again last year on a Sunday and he was sick but a very nice elderly lady gave my brother in law a scholarship form to fill out. The problem? It's only for African-Americans. My brother in law is as white as you can imagine. Third time's the charm I guess because he was there this past Sunday. We had arrived right before mass at 8am. We decided to wait outside by our cars and wait till mass is over to reach out to Pastor Drake. In the meantime, I took pictures. 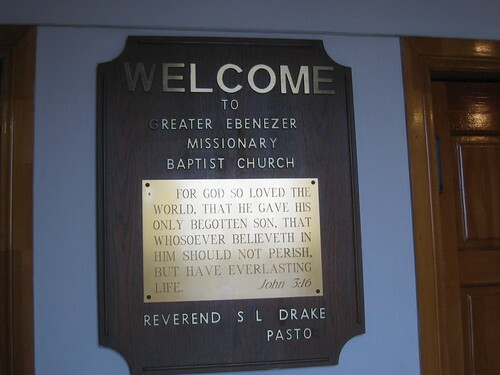 Greater Ebenezer Missionary Baptist Church. It was a long mass since it almost ended at 10am. People are coming out of the church and others go to a different side of the church. We are confused. So I guess it's not like in the Catcholic church when everyone gets out at the same time and the priest goes outside? 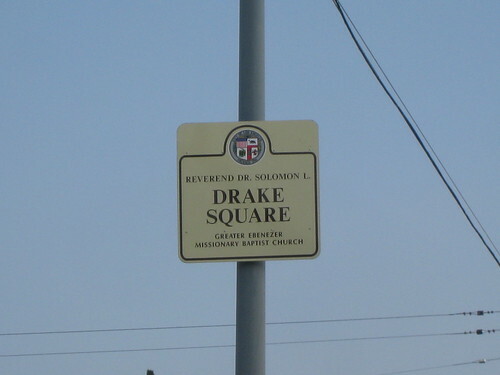 We never see Pastor Drake. My friend asks a lady where can we meet Pastor Drake. She tells us to go inside and go to his office. We go in and we don't see him. I can tell that people are looking at us funny. We're basically the only non-blacks inside the building. I see Pastor Drake walking towards us and he starts talking to us. He blessed my son and we started talking about the Dodgers and baseball. It's as if he knew we were there to just talk. He was a very nice man and took 10 minutes out of his busy schedule to talk to us. We were so grateful and happy that we had the opportunity to talk to someone who has gone through a lot in his life. Drake spent two years in the Korean war. Holds a batting title in the Cuban league. Solly and his brother, Sammy, were the first African-American brothers to play in the majors. 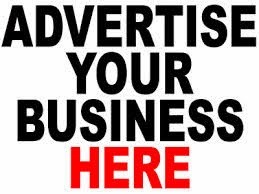 When he retired, he went back to school and graduated from Philander Smith College with a double major in Psychology and Physical Education. I asked him to sign these two cards for me. 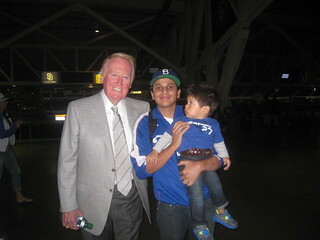 One with the Dodgers and the other is when he played for the Chicago Cubs. Great story! Thx for sharing. 9 games and a card. Good research! Great story! You're a true fan Roberto! This is awesome! That's my pops! :) :) Thanks for the cool write up. I just sent him two cards via the mail. Really hope to get them back. Such a legend and doing great work with the church!